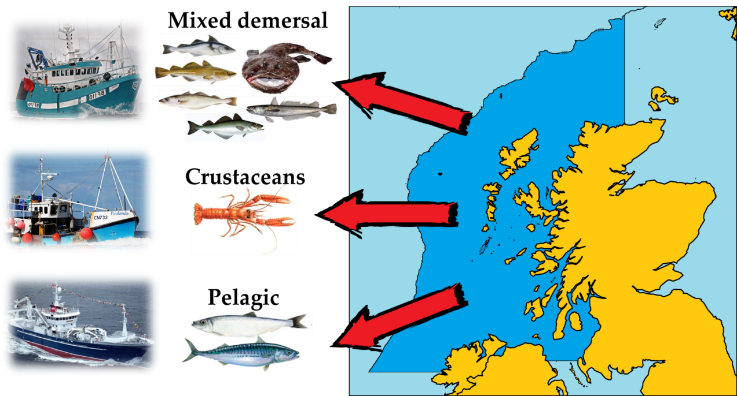 The west of Scotland is a marine fisheries case study of the ClimeFish project. The area considered comprises the continental shelf, where depth doesn’t exceed 200 meters, between 55°N and 60°N of latitude. This area supports three main fisheries: a mixed demersal fishery operating throughout the whole shelf area targeting a wide range of fish species such as cod, haddock, whiting, saithe, hake and monkfish, an inshore crustacean fishery operating between the mainland and the outer Hebrides which targets the highly valuable Norway lobster and a pelagic fishery targeting migrating fish species such as mackerel. In addition, scarcer but highly valuable crustacean species such as lobster and crabs are also fished in these waters. In 2014, these fisheries contributed to 35% of the total value of all commercial species caught in Scotland, totaling at £182.5 million. Although warming of the west of Scotland sea temperature is expected to be relatively limited, this area corresponds to both the southern distribution limit of cold-water species such as cod, and the northern limit of distribution of warm-water species such as hake. As a result, there is potential for significant changes in species abundance and composition which could affect the whole ecosystem and the fisheries that rely on it. If found relevant these issues will be included in an ecosystem model. 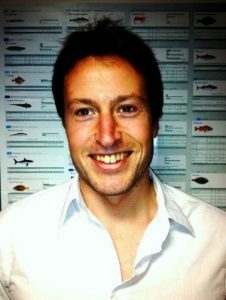 This model will then be used to perform computer simulations in order to assess the likely impact(s) on the food chain, and the knock-on consequences for the west of Scotland fisheries. This will in turn allow us to work together with stakeholders to design management strategies in order address the issues identified in ClimeFish.